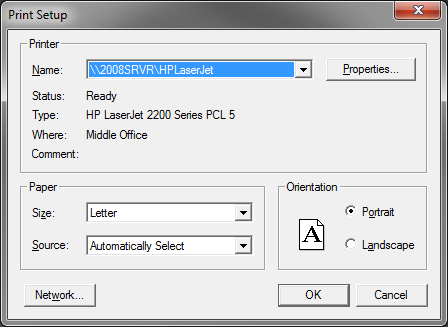 If you've upgraded from older computers running Windows 2000 or Windows XP, you may find that you can't select printers from the printer popup box. 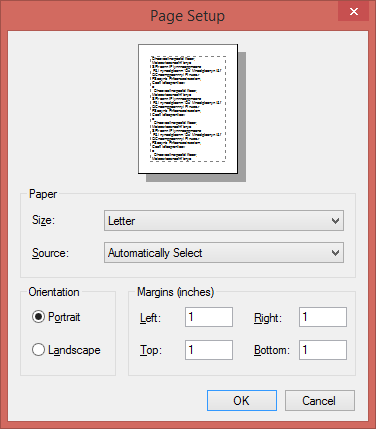 This is often because setting needs to be changed to allow a different printer dialog box to show. 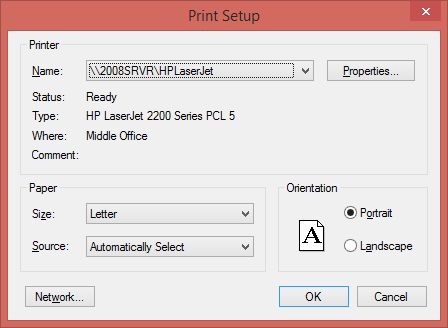 If all you see is the Page Setup dialog box rather than the Print Setup dialog box, there is a setting we can change for you. Call or email Execu/Tech Support. This happens when the 32BITPRINT option is not set. OR you're still using Windows 2000 or XP. If you'd like to try to fix this on your own, there is a file you can edit. This can be opened in Notepad or Wordpad. Add the following line to it and save it. Be sure there is no # at the beginning of the line. The # will comment out this line and it will not work. 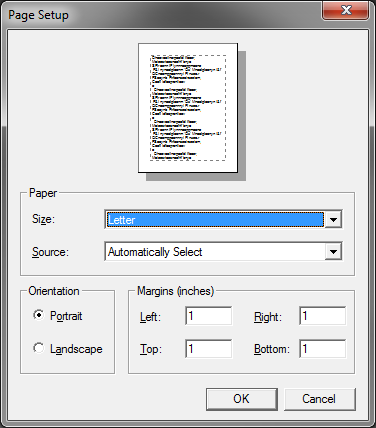 After adding and saving, restart the application and try to select the printer again. There may be a lot of critical settings in this file so if you don't want to take the risk of messing anything up, let us know and we'll do it for you.